LONDON: British Prime Minister Theresa May will try to break the Brexit deadlock by setting out proposals in parliament that are expected to focus on winning more concessions from the European Union. The EU, which has an economy more than six times the size of the United Kingdom, says it wants an orderly exit but senior officials have expressed frustration and sorrow at London’s deepening crisis over Brexit. “I have often said Shakespeare could not have written any better the tragedy we are now witnessing in Britain,” German Europe Minister Michael Roth told broadcaster ARD. 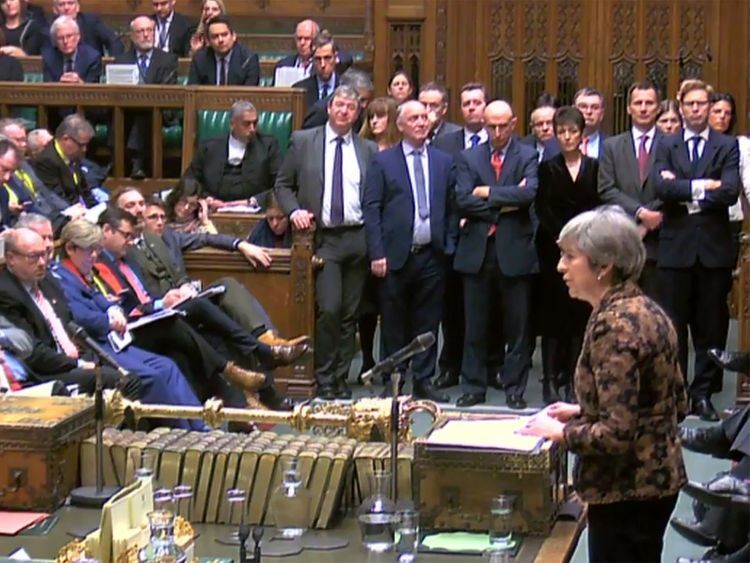 May will make a statement in parliament at 1530 GMT and put forward a motion on her proposed next steps on Brexit, though some lawmakers are planning to wrest control of Britain’s exit from the government. After May’s motion is published, lawmakers will be able to propose amendments to it, setting out alternatives to her deal. Jacob Rees-Mogg, chairman of the European Research Group of anti-EU lawmakers in May’s Conservative Party, said Britain is likely to leave the European Union without a deal, with a revised Brexit deal as the next likely outcome. Sterling was steady at $1.2836 (Dh4.71437). Buying sterling is not advisable because of Brexit uncertainty, UBS Wealth Management said on Monday. Ever since Britain voted by 52-48 per cent to leave the EU in a referendum in June 2016, London’s political class has been debating how to leave the European project forged by France and Germany after the devastation of the Second World War. While the country is divided over EU membership, most agree the world’s fifth largest economy is at a crossroads and its choices over Brexit will shape the prosperity of future generations for years to come.